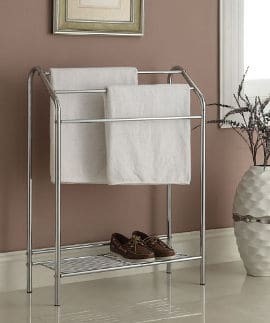 Whether you are renting a place with no towel racks in the bathroom, or simply need more places to hang those family towels, and either lack the room for a wall mounted towel rack or simply don’t like the look of these types of racks, free standing towel racks for bathrooms may be the perfect solution to your needs. Free standing towel racks come in a variety of different sizes, styles, materials and designs, so here is a look at several different types of towel racks to help you decide which type best meets your décor and your needs. If you are looking for that spa like experience every time you shower, or live in an area with high humidity making it difficult for your towels to dry, then a heated free standing towel rack just may be the answer. Here is a brief look at some popular heated towel racks. Users state that it works more as a towel dryer rather than a towel heater since only the part of the towel that touches the rod gets really warm. The rest of the towel tends to be lukewarm at best. However, towels do tend to dry faster and the rack itself comes in handy for those people with a larger bathroom. 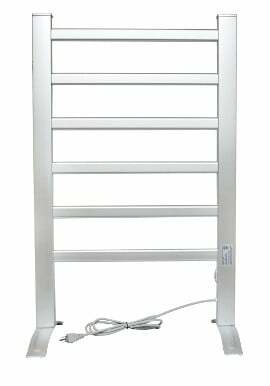 This Warmrails HCC Towel Warmer can be mounted on the wall or used as a free standing towel rack. It measures 37.5” tall when assembled and uses 75 watts of power. It has a nice chrome finish and comes with a 1 year warranty. It can also be run 24 hours a day so that you can use it to dry towels or even some laundry items. Users say that this heated towel rack does a good job at drying towels, but that it only slightly warms your towels, so if you are looking for those really warm towels like spas offer, then you may be disappointed. Designed to meet the needs of the entire family, the Warmrails WHC Towel Rack features 8 hanging rails and one year warranty. Users find this product simple to assemble and once assembled, it is well built and and sturdy. It becomes warm quickly and does a good job of drying damp towels rather quickly. However, some users have mentioned that when it comes to actually warming the towels, it only warms them slightly, which some people like and others find themselves longing for slightly warmer towels. Many of today’s bathrooms have chrome fixtures, so a chrome free standing towel rack that matches the other bathroom fixtures is important to some people. 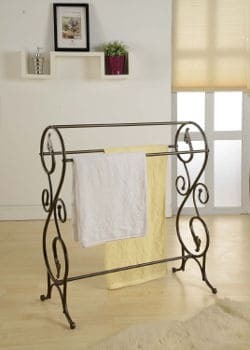 So, here is a look at some of the more popular chrome free standing towel racks that are available today. This Chrome finish towel rack measures 33” X 25” X 10.5” and includes 3 drying bars and a wire shelf at the bottom for extra storage. Most users find this stand easy to assemble and reasonably sturdy although few of them do mention that it is more suitable for hand or face towels than bath towels, as normal size bath towels will cover the shelf when hung from the bars. You also need a fairly good size bathroom to place this rack in as it does take up a bit of space. 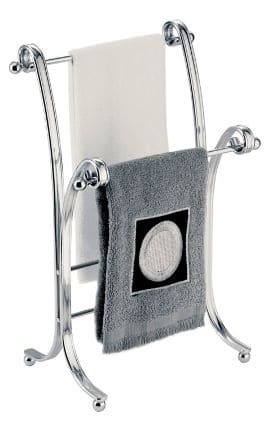 This InterDesign Chrome towel stand is a free standing towel stand that is designed to sit on your bathroom counter. 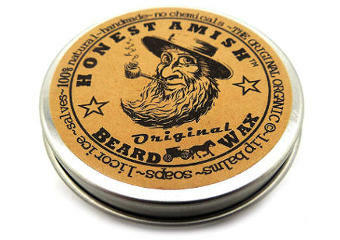 It measures 0” X 5.5” X 13.5 inches and is both attractive and well constructed. While descriptions for this product specifically state that it is designed for use with fingertips towels, few users express disappointment that it won’t hold a regular size hand towel. However, other users find that this towel stand is quite versatile and can be used on a kitchen counter to hold dishrags and smaller dishtowels. If you are looking for a towel rack that has a little more sophistication than those standard bar towel racks, then an S-Shaped free standing towel rack may add a bit of appeal to your bathroom décor. So, here is a look at some of the more popular S shaped towel racks that are available today. 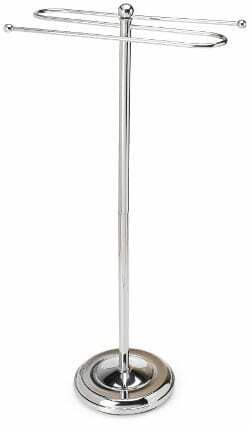 The Gatco 1508 Standing Towel Holder is a simple yet attractive product. Its height is around 38 ½ inches with the highest rod being 37 inches and the lower 35.5 inches from the floor. The width of the bars that hold the towels is 12 inches and then there is the curve which goes around. The rack has a hand polished bronze finish and a manufacturer limited warranty. Users feel this is a good sturdy and well made towel holder that looks great and is suitable even for hanging large towels without touching the floor. A lot of people have it standing right next to their shower and comment that they love its looks. The Gatco Counter Top S Style Towel Holder may be the perfect solution for those people who have plenty of counter top in their bathroom, but need a place to hang hand towels. This is a simply style towel holder that comes in chrome and satin nickel finishes. While users feel it is well designed and extremely nice looking, they do state that it is more suitable for fingertip towels than regular size hand towels. 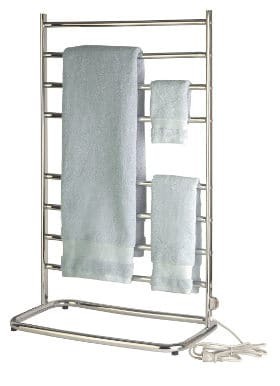 The Taymor Industries Towel Valet comes in chrome, bronze or oil rubber bronze. It measures 36” X 18” X 8” and is suitable for holding both hand and bath towels. The base of this S-shaped towel holder is weighted so that it won’t tip over when hanging or removing towels from the rack. It fits two standard size bath towels easily or you can layer a wash rag, hand towel and bath towel on each bar. Users like the fact that it does not take up much space and that it doesn´t tip over when a towel is pulled off the bar. The Countertop Essentials free standing S-Shaped Counter Towel Holder comes in a Satin Nickel finish which gives it a chic and sophisticated look. It stands 13.5 inches and measures 4 inches around at the base. Potential users should be aware that this is more suitable for fingertip towels rather than standard sized hand towels as it is not tall enough to keep a regular hand towel from dragging on your counter top. 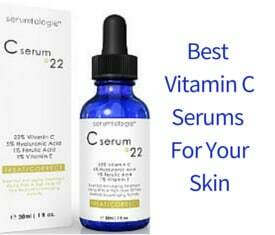 While designed for use in the bathroom, it would also work equally well on the kitchen counter. Bronze towel racks are perfect for those homes that have bronze bathroom fixtures as opposed to chrome or stainless steel. These racks are bound to add an elegant air to any style bathroom. 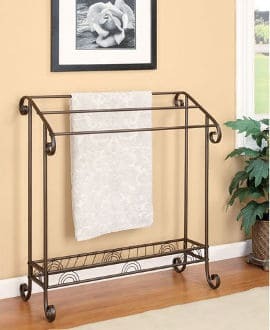 This Coaster Home Furnishings towel rack comes with a dark bronze finish and is easy to assemble. Once it is assembled, it measures 33” X 15 1/4” X 36 ¾. It also features 3 bars for hanging towels and a bottom shelf for storage. The rack will hold 6 folded towels or three towels that are open. Users describe it as extremely attractive although you will need a good size bathroom due to its length. Some people also use it in their bedroom to hang quilts at the end of their bed. Measuring 29” X 13” X 3”, this Antique Pewter finish towel rack is perfect for country style décor or Victorian type homes. 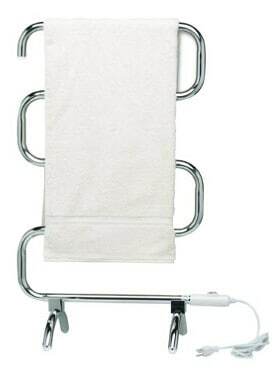 Once assembled, it is quite sturdy although few users have commented that it is too short to hang regular size bath towels on it without them dragging on the floor, adding that it is best suited for hanging hand towels. However, if you fold your bath towels width way, this rack should accommodate them quite well. Because of its classy looks, several users find themselves using it to display quilts in their bedrooms. 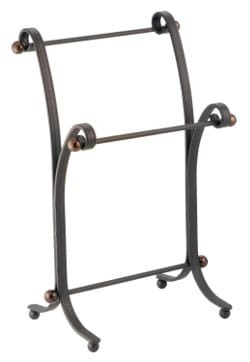 This InterDesign York Metal towel stand measures 9” X 5.5” X 13.5” and is designed to hang fingertip towels. It is very simply designed with a nice bronze finish that adds a touch of sophistication to any bathroom décor. Users like the fact that it is nice looking and sturdy but few of them wish it was designed to hold regular length hand towels. 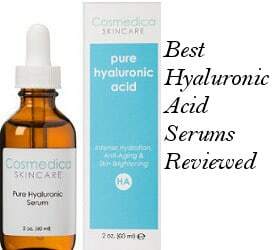 However, others believe that it is suitable for both bathroom and kitchen counter tops although you will need to make sure that you have enough space on your counter for the stand to sit easily. All in all, free standing towel racks for bathrooms can add sophistication and elegance to your home décor while filling the need of having a place to hang those towels when they are not in use, so it is just a matter of choosing the towel rack that best fits your needs and your home’s décor.